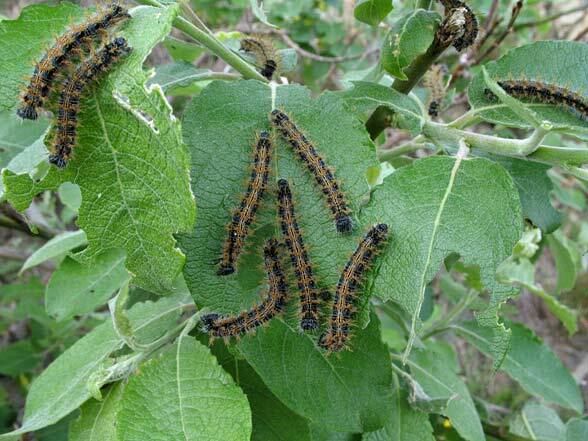 The caterpillars feed on some trees and bushes, especially from the families Salicaceae (Sallows like Salix caprea), Ulmaceae (elms like Ulmus glabra and also Celtis australis) and Rosaceae (Prunus, Crataegus). 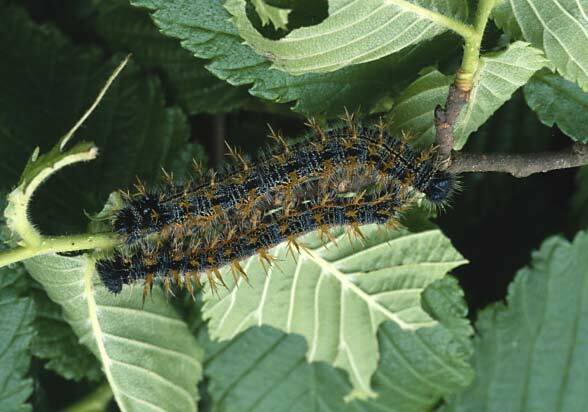 In the south, the caterpillars are very often found on hackberry (Celtis). 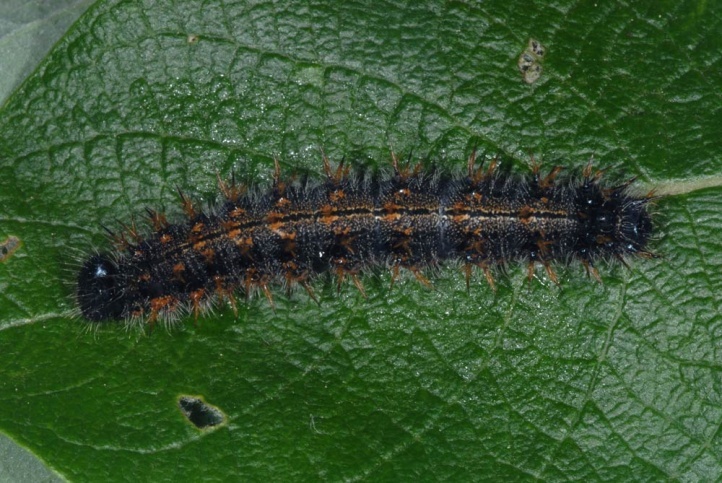 Nymphalis polychloros inhabits open forests, coppice forests, parklands, hedges and occurs especially in the warmer, lower regions. 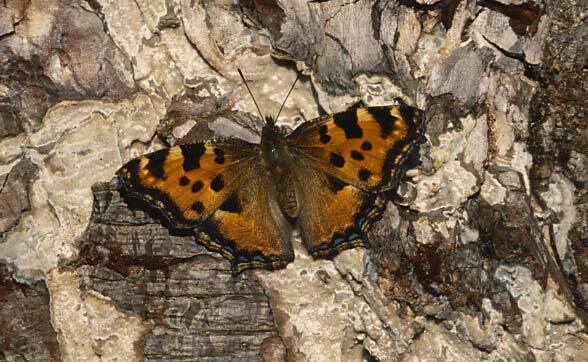 In the south the butterflies like to live in warm open oak forests with local hackberry and elms (as well as in gardens). 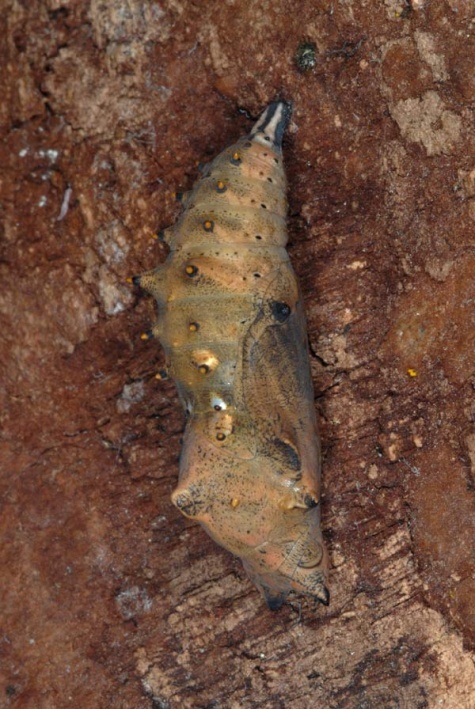 Nymphalis polychloros is quite common for example in the Italian Susa Valley and the French Massif de la Sainte Baume near Marseille. 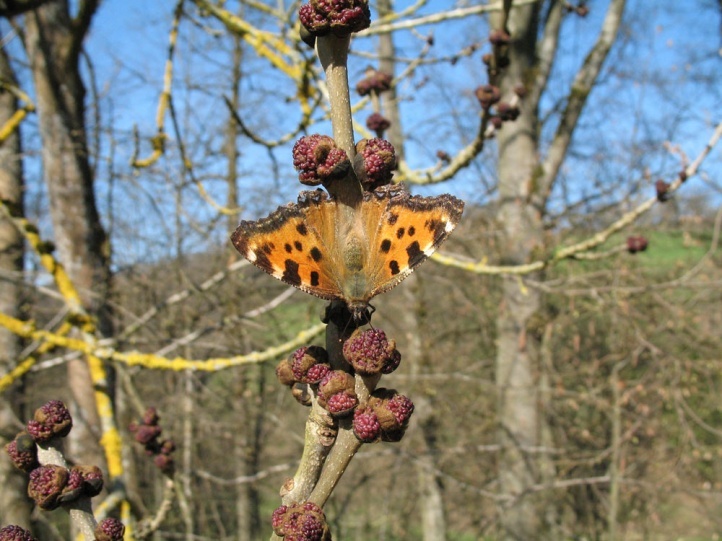 But north of the Alps, there are also regions such as the Steigerwald in northern Bavaria, where Nymphalis polychloros is still not so rare. 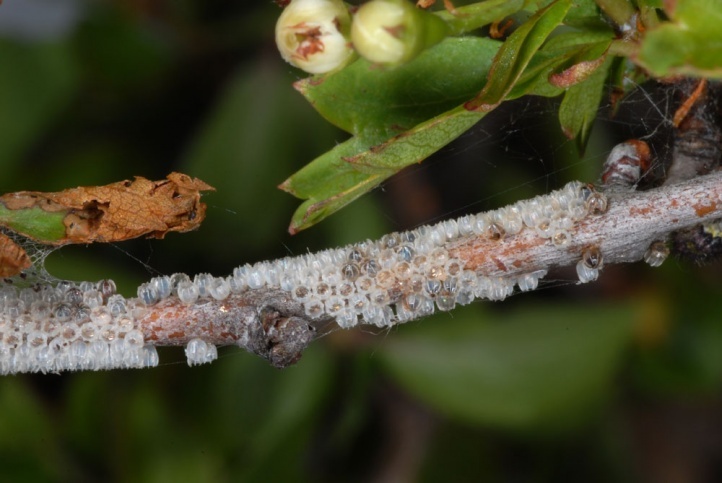 Altogether, Nymphalis polychloros is more an inhabitant of warmer lowlands up to 700m above sea level and only occasionally higher (especially in the south). 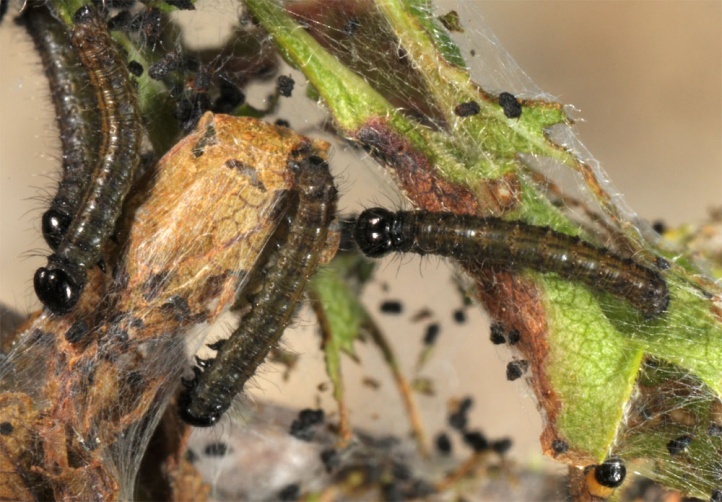 Nymphalis polychloros occurs in a single generation, in the south occasionally in two. 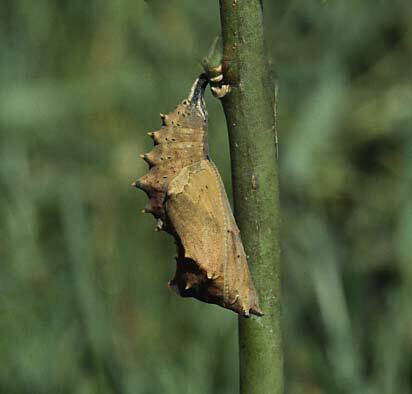 Hibernated butterflies are active between March and May (in the south occasionally already in February). 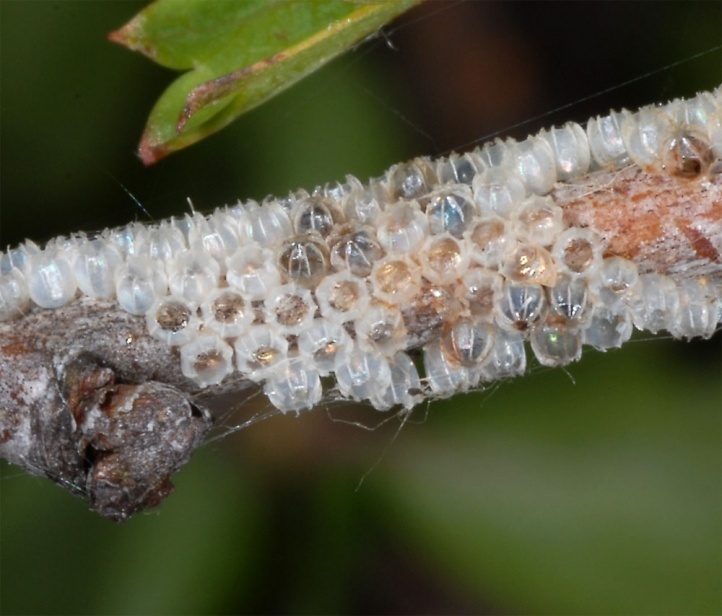 The eggs are deposited mostly on thin branches. 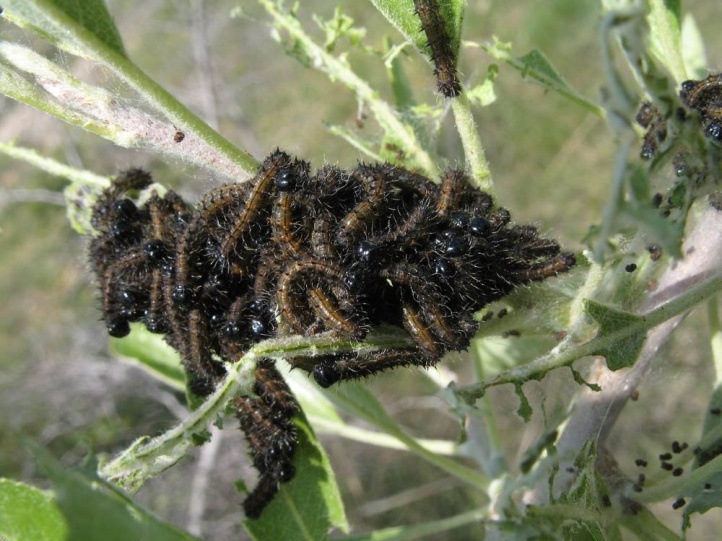 Caterpillars can be found especially in May and June. 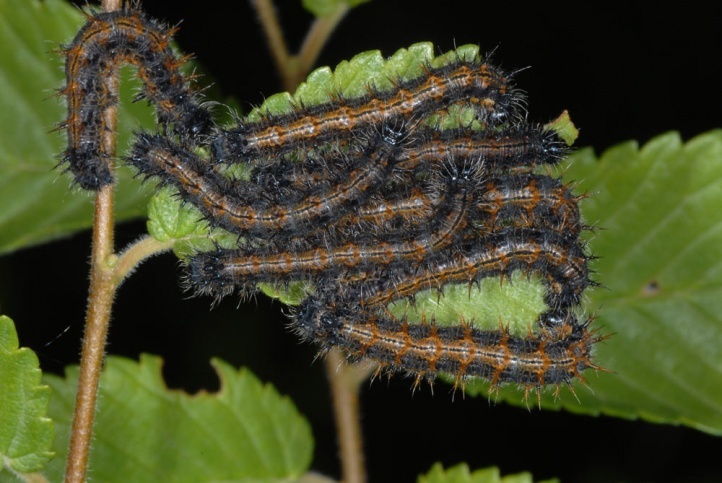 They live together in larger communities and can defoliate smaller bushes completely. 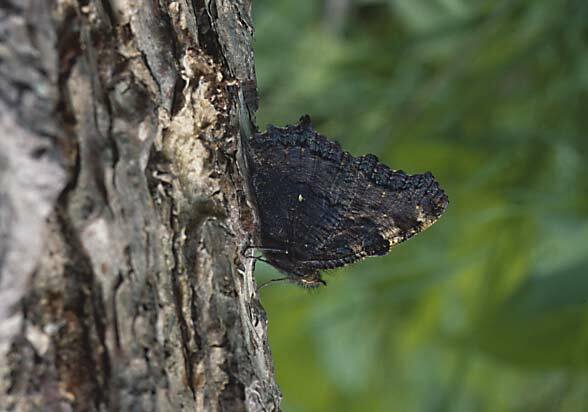 In summer/early autumn the adults are observed only occasionally because they seem to rest for longer periods and start hibernation also soonly. 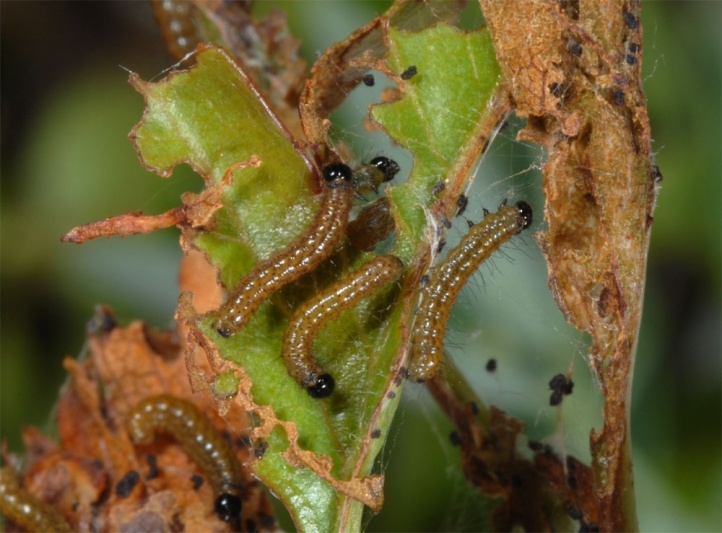 In the north Nymphalis polychloros is endangerd in most regions due to dark forest management and levelling of the landscape (large fields, no hedges etc.). 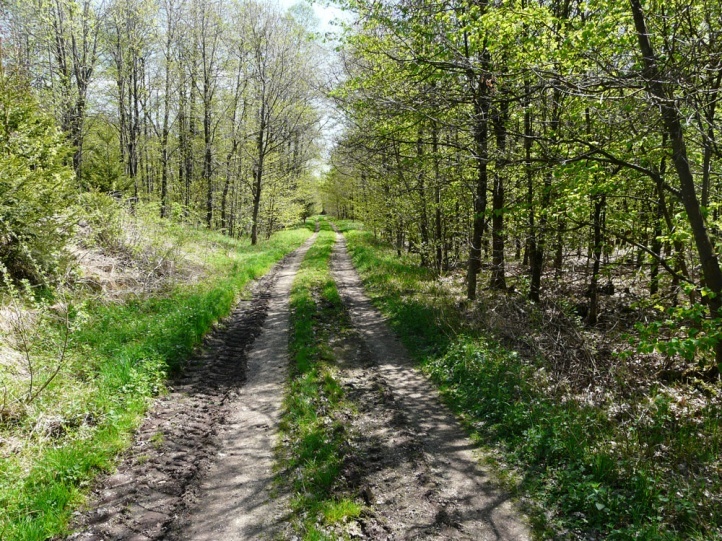 In the years 2005-2007, however, a significant increase (longtime fluctuations of abundance) was observed for example on the eastern Swabian Alb (Germany). 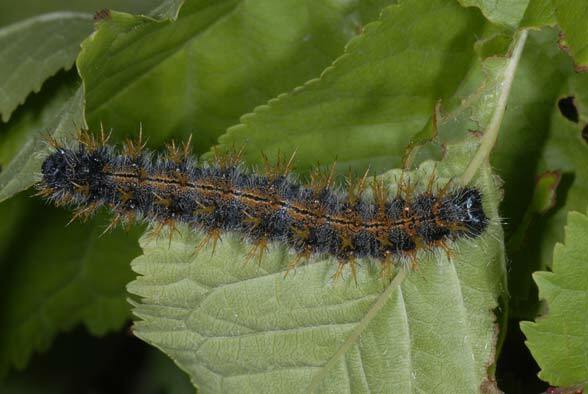 Nymphalis polychloros benefits from warm springs that allow a good oviposition rate and a fast caterpillar development. 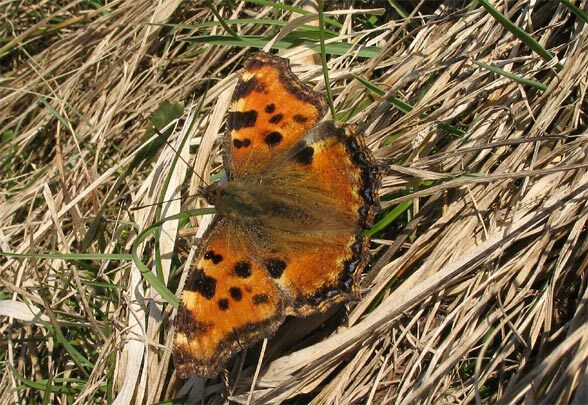 South of the main ridge of the Alps Nymphalis polychloros is not endangered and still quite widesprad in many regions (e.g. 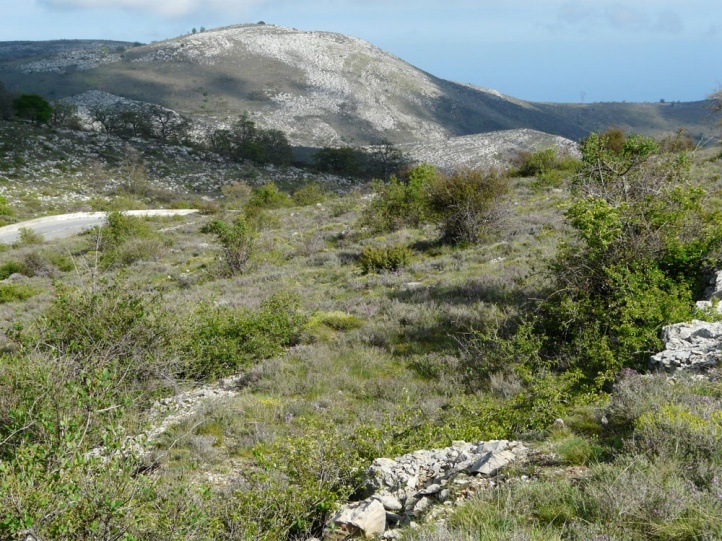 Northern Greece, Southern Alps, Provence). The distribution extends from North Africa across Southern and Central Europe and temperate Asia to the Himalayas.